Butterflies And Babies what a combination! 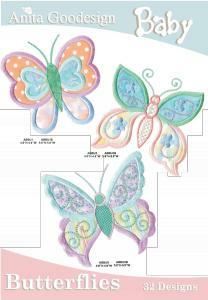 How about some 3-D butterflies for your next project! Due to the response we've been receiving from the "Baby Bugs" collection, we give you the next evolution in baby insect embroidery...."Baby Butterflies". There are 32 designs in all with a bunch of project possibilities.